This device along with all sidekicks hold one feature over most phones that no one (but sidekick users) know of...shortcuts! I can go through 5 different applications before a g1 or blackberry 8900 user can go through 2. So it's not the form you would want for a phone, I'm sorry but sidekick has been making phones this way since 2002, and they sell. So why change the form? Andriod SDK makes the g1 not the hardware. The 8900 is nice but can you open a text reply and reply to an email and then send an instant message while listening to music before I can? nope. Sidekicks are for sidekick lovers. 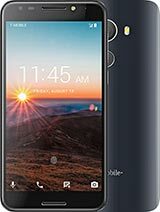 It's a great phone that should continue moving forward. The 2009 LX is beautiful. I will have mine the 13th. Could any one tell me how much does this costs.I need to use it in India.I am very mch excited abt this launch. Please advice. this fone aint better then 8900 or g1. but its good for u if you use alota instant messeging or texting like me. 8900 or g1 cant match up 2 da ims n texting comfortablity of a sidekick. other than that they are better fones. does this work on rogers wireless? ohh, 06 May 2009Hi, im just wondering how much will it cost to unlock the phone and stuff? Im from singapore ... moreyou wouldnt want to unlock it because the main selling point of the sidekicks is the unlimited data plan that you get with the phone. the includes unlimited sms, mms, among other things. Hi, im just wondering how much will it cost to unlock the phone and stuff? Im from singapore and will the phone be able to read my sim card ? and how is the process like to import the phone? 111222, 27 Apr 2009I think it is one of the best cell phones in the world today. Also might be better than the G... more1 of the best phones on the market today. are you on drugs? this phone is about 3 years behind when it comes to specs. Does this only work in the US, or cn i use this in somewhere lyk south africa? wtz so gud bout it? n watz so bad bout it? I would be careful what you say. A lot of deaf people do by hiptops. And I think it is tremendous that this product can cater to their need. I think this phone is behind for not having WiFi in this day and age. lmao for a phone thats $420 on a no contrace this is pretty lame. i mean no wifi? plus i got a chance to play with this phone and i wasnt impressed with it. its just a sidekick 08 with a bigger screen, 3g, and a somewhat OK camera. and also to the guy who said the G1 and the 8900 was nothing compared to this phone, lay off the drugs, and snap back to reality. your comparing a phone marketed towards teenagers and comparing it with 2 of the best phones the company has to offer. IMO this is just a waste of money. Total of 569 user reviews and opinions for T-Mobile Sidekick LX 2009.